The Royal Oyster is a vintage, special deep-cupped oyster harvested in a naturally iodizedenvironment. Traditionally matured in the Artouan marsh south of Marennes, in France. The Royal Oysters have long been appreciated by Kings and Cardinal Richelieu. After beenselected they are set in a claire for a few weeks (20 oysters m2 density), to be maturedaccording to the traditional oyster methods for five generations. The Royal Oytsers are graded and put into hampers by hand as in the past, every batch being carefully labelledto ensure perfect tracability. 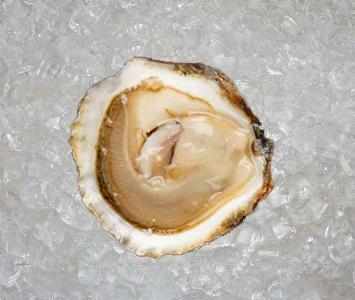 Taste: delicate & sweet Natural Wild Oysters The Natural Wild oyster grows on sea covered rocks. Raised by Tides, on the Atlantic Coast.Taste: a delicate taste of the ocean. The Dark (Baeri) Selection Acipenser baeri is a fish native to Siberia. Modern breeding techniques have been developed and perfected to farm this great sturgeon throughout the world. It is truly the sturgeon species and the farming techniques, which gives it is characteristics. Our baeri comes from the caspian sea uses only the best techniques to give you the best flavours of the caviar baeri. The caviar baeri can come nowadays from France, China, America, Germany and Saudi. The origin has no influence on its taste. 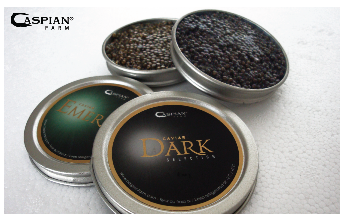 Degustation rating: Fragile texture, small grains of caviar baeri (between 2.3 - 2.5 mm in diameter), which detach easily. Amber incolour with hints of burgundy. On the palate fruity with an beautiful mineral note on a delicately iodized structure. The Emerald Imperial (Oscietra) Acipenser gueldenstaedtii (Russian sturgeon). The Russian Sturgeon cannot mature and reproduce quickly, making them highly vulnerable to fishing. It can be found on the banks of the Azerbaijan and Kazakhstan in the Caspian Sea. Thanks to modern techniques of aquaculture it is now possible to tame this species under strict specifications to pro¬duce an outstanding oscietra caviar. The caspian farm is located on the shores of the Caspian Sea. Degustation rating: Its texture is firm, fresh with subtle aroma. One grain of oscietra caviar has a generous oval size (3 - 3.2 mm in diameter). Emerald in colour with an amber reflection. On the palate it is delicate & silky. Characterized by a fine balance between a hint of iodine notes of dried fruits such as cashew nuts. Inspired by marine flavours. Oscietra caviar is delicate to satisfy the sweet thrill. 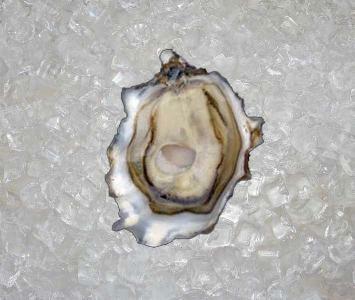 “Born from the sea”, is the Gaelic translation of « Muirgen », the name given to this shallow oyster from Ireland, where it benefits from unique eco-systems. It has travelled to Cancale for the last stages of its farming. 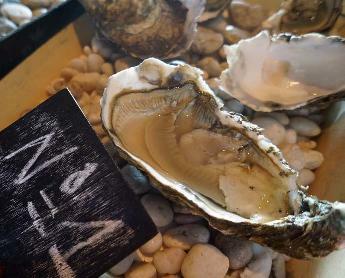 This oyster appeals to oyster enthusiasts for its sweetness, its beige-coloured flesh that is nestled in a meaty jewel, providing a rare delicacy to the palette. Octopuses live in oceans and seas around the world. They have eight arms, no backbone, three hearts, and a jumbo-sized brain. They can do some amazing things. They can squeeze their bendy bodies into narrow cracks, change color in a matter of seconds, and outwit predators with a clever disappearing act. They’re smart, too. They can learn new tasks and later remember what they learned. That’s something that even we humans sometimes find challenging! Small, Medium, and Large Some species of octopus live in shallow water while others live in the deepest parts of the ocean at depths up to 5,000 m. Most species stay close to the seafloor. One of the smallest species is the California Lilliput octopus, which measures about 2 cm across, or about the width of a bottle cap. The common octopus is a medium-sized octopus. A typical size is about 50 cm, or roughly the size of a large pizza. One of the largest, the giant Pacific octopus, can grow to a whopping 9 m. It’s so big that with its arms stretched wide it would barely fit into a two-car garage. Octopus on the Menu People have probably been eating octopuses as long as they have been eating fish. Octopus is still an important food for many. People all over the world eat octopus, but it is especially popular in Japan and in European countries such as Greece, Portugal, and Spain. 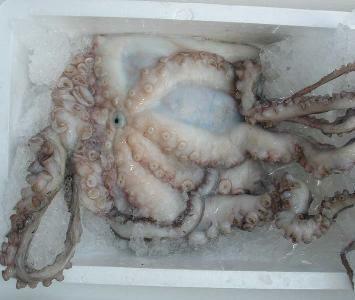 People often cook octopus by grilling it, but it is also used in sushi, salads, stews, and rice dishes.